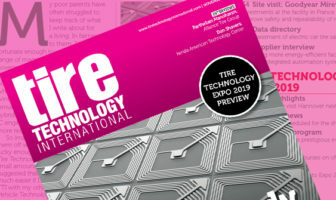 TTI speaks to Goodyear about its Oxygene concept, including what elements we are likely to see make it into mass production. Which elements of the Oxygene concept could realistically be taken into production? The Oxygene concept may never make it to the production line as such. 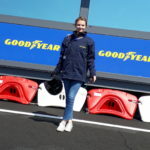 However, some elements of the design are visible in existing Goodyear products and others might become the basis for new ideas and potentially new, groundbreaking products and services in the future. For example, we released a non-pneumatic turf tire in North America last year as part of our work to develop maintenance-free solutions for autonomous vehicle applications; we are currently conducting field testing with an intelligent tire system designed for ridesharing fleets; and we are commercializing new eco-friendly materials in our products like rice husk ash silica and soybean oil that offer both performance and sustainability benefits. 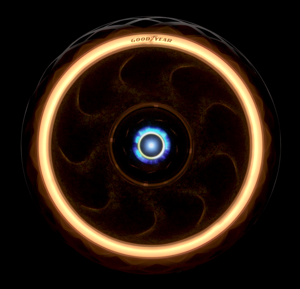 How much electricity could the tire potentially generate? We estimate that Oxygene would produce enough electricity to power a typical LED lamp. The connectivity between Oxygene and the surrounding environment is based on li-fi technology (expand ‘lifi’? ), which only needs one such lamp to function. This is why Oxygene is a self-sustaining ecosystem; it doesn’t require power from external sources, such as the car’s battery. Three-dimensional printing of tire parts has been touted as one of the next biggest developments in the tire industry, is this something that Goodyear is currently working on and if so, how long do you estimate it will be before we see 3D printed parts in production tires? 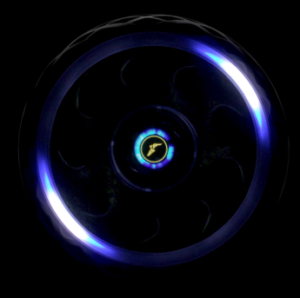 Goodyear’s Oxygene features a non-pneumatic construction that is 3D printed with rubber powder from recycled tires. 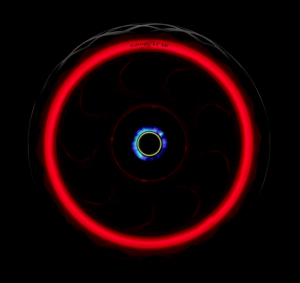 3D printing has also been an integral element of previous Goodyear concept tires, such as the spherical Eagle 360, or the morphing Eagle 360 Urban concepts. All of these tires, however, are purely conceptual developments. It’s too early to predict when and how 3D printing will be fully integrated into the tire production process. However, Goodyear is continuously improving our manufacturing capabilities to match the increasing complexity in the tire industry. The growing number of vehicle models and options is resulting in a proliferation of tire sizes and types. This is driving customer demand for small volumes of premium Goodyear tires. In September 2017, Goodyear announced plans to create a new facility in Luxembourg that utilizes an innovative production process to meet growing customer and consumer demand for premium tires. Named Mercury, the proprietary process features highly-automated, interconnected workstations, using additive manufacturing technologies to efficiently produce premium tires in small-batch quantities on-demand for replacement and original equipment customers. The Mercury modules will complement our existing high-volume facilities and give us a true competitive advantage. Lighting signals that indicate the behavior of an autonomous vehicle are currently being tested in the automotive industry. Are we likely to see these in tires? Several car manufacturers are working on integrating visual communication technologies in their upcoming autonomous vehicles. As the only rotating part of the vehicle, and therefore the first element where a vehicle’s movement becomes apparent, wheels are a logical place to use for displaying this kind of technology. 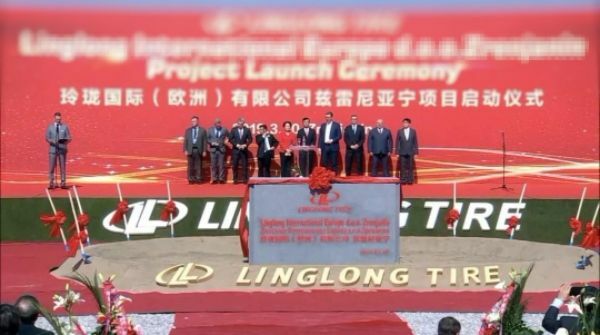 At this stage, Oxygene is purely a conceptual development and it is therefore too early to predict if and how this technology would be integrated into production tires. Oxygene was introduced at the 2018 Geneva Motor Show in March. It has a unique structure that features living moss growing within the sidewall. This open structure and the tire’s smart tread design absorb and circulate moisture and water from the road surface, allowing photosynthesis to occur and therefore releasing oxygen into the air. Oxygene absorbs moisture from the road through its unique tread and inhales CO2 from the air to feed the moss in its sidewall and release oxygen via photosynthesis. In a city similar in size to greater Paris with about 2.5 million vehicles, this would mean generating nearly 3,000 tons of oxygen and absorbing more than 4,000 tons of carbon dioxide per year. Oxygene features a non-pneumatic construction that is 3D-printed with rubber powder from recycled tires. The lightweight, shock-absorbing structure provides a long-lasting, puncture-free solution intended to extend the life of the tire and minimize service issues, delivering worry-free mobility. Additional safety is ensured by the tire’s open structure, which improves wet grip by helping absorb water from the tread. Oxygene uses a visible light communications system, or lifi, for high-capacity mobile connectivity at the speed of light. Lifi enables the tire to connect to the Internet of Things, allowing vehicle-to-vehicle and vehicle-to-infrastructure data exchange, which is critical to smart mobility management systems.